4 Bedroom Detached House For Sale in for £615,000. 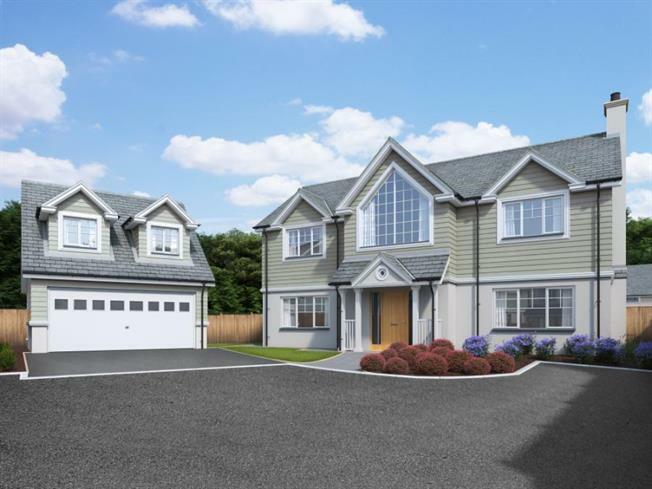 This exquisite four-bedroom detached home has a grand, double-height hallway, leading to an open-plan kitchen and dining room, with a separate utility and WC. There's also a generous living room spanning the full length of the house, which opens out onto the back garden. The first floor features a master bedroom with large en-suite, three further bedrooms and a family bathroom. In addition, there is also a large detached double garage, with a self-contained studio above. Utility - 6'1'' x 4'4"
WC - 3'8" x 6'3"
Bedroom 4 - 13'1'' x 7'2"
Disclaimer to add to the listings is as follows: All dimensions are taken from plans and must, therefore, be treated as approximate. Some variation in the finished construction and landscaping should be expected. The site plan, images and photographs are indicative only, not to scale and for general guidance only.